The trouble with VR games is only the person playing them can usually see what’s going on. At least friends can gather round the TV screen and watch you get killed playing Overwatch on a PS4, but all VR observers have to go on is the player’s occasional gasps, and faintly ridiculous body movements. 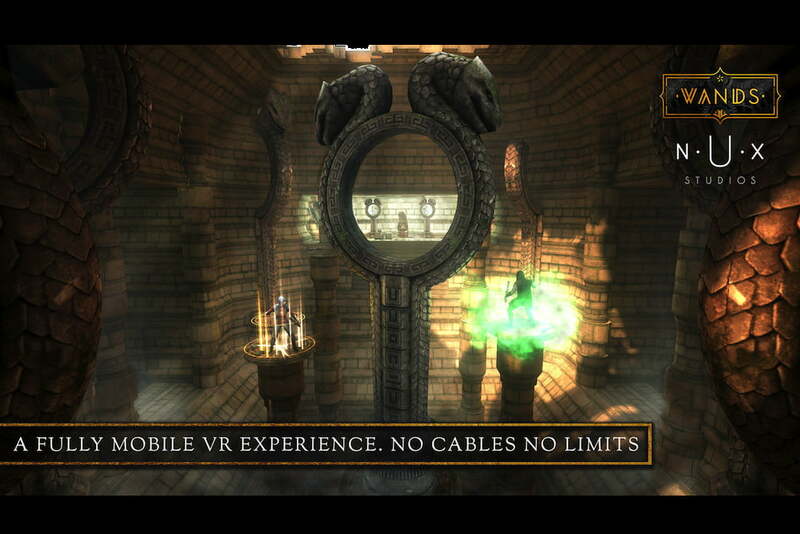 Not so with Nux Studio’s Gear VR game Wands. It’s a multiplayer game with a clever spectator mode, so all your mates can see you triumphantly win, or lose embarrassingly. 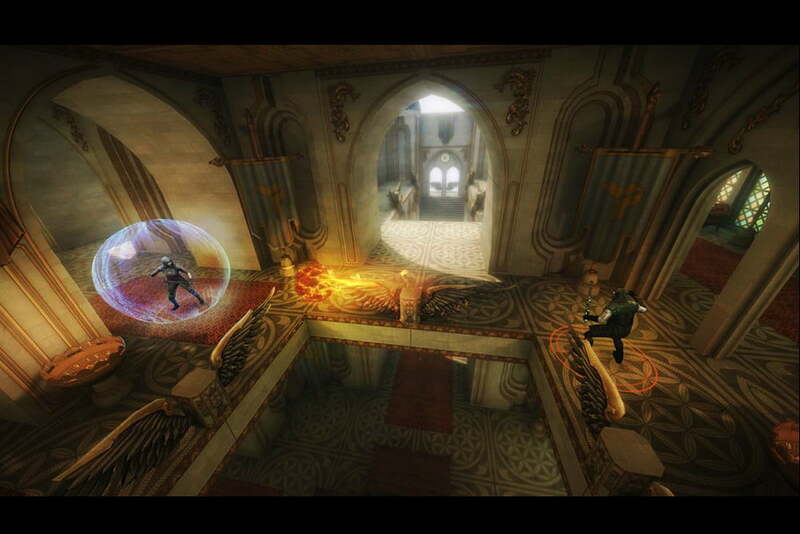 In Wands, you play a wizard battling other wizards online, shooting fireballs and other magical spells that are powerful enough to make Harry Potter blush. However, before blasting other wizards away, you need to learn spells, and that’s done by collecting the dust left behind by wizards who can’t match you in battle so you can buy relics, which add new spells to your magic wand. Live matches can be viewed through the Wands website, either randomly, or just by searching for the player name. That’s a pretty unusual addition for a VR game. Wands online matches are either against a computer matchup, or by choosing a friend with the game to play against. The question is, will you want to play the game at all? Happily, the answer is yes. First, it looks fantastic. The world is described as steampunk, and indeed, the wand more closely resembles a lightsaber than anything found laying around in Hogwarts. Once you’ve added relics to the wand, you open a portal (which is an awesome effect) to the online play world. Players are rooted to the spot, and can teleport around the play area to predetermined spots, then locate your foe and blast away. The play areas are disorientating at first, and learning the layout will be key to success in the future. Despite not being able to run and jump, the action in online play is fast and furious, and not always by choice. The teleport system is activated in the same menu as your weaponry, rather than pressing a button to quickly move, so you often stand around getting shot while messing around finding the teleport controls. 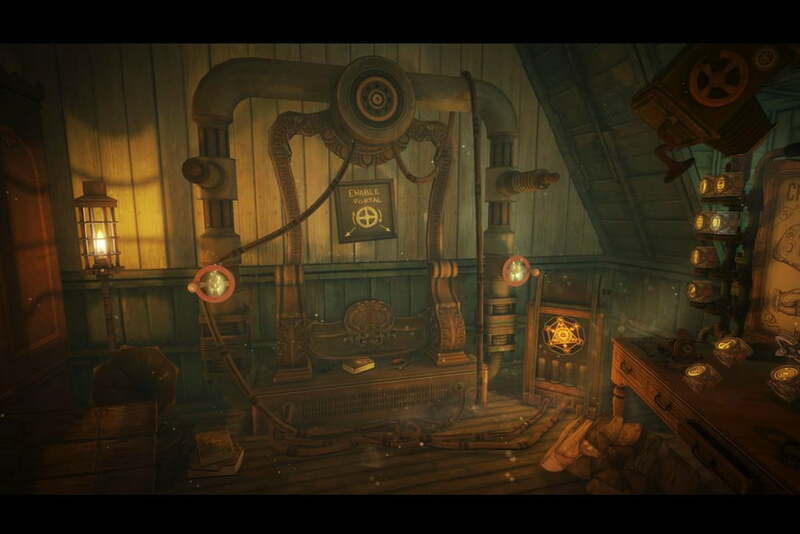 The game is compatible with the Gear VR’s navigational pad on the headset, or with a gamepad. We used Samsung’s own gamepad, and found it’s the most preferable method for in-game speed and accuracy. In our short time playing Wands, we found an action-packed, compelling, sumptuous to look at, and best of all fun to play VR shooter. There were a few crashes though, and the control system could do with little work, but it’s still heartily recommended. It’s out now for Gear VR through the Oculus Store for $6 or 4.50 British pounds.